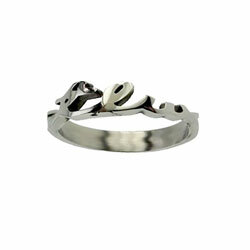 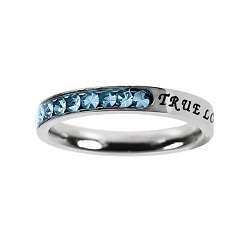 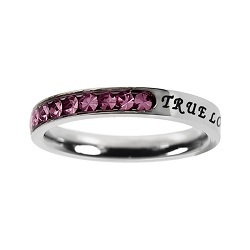 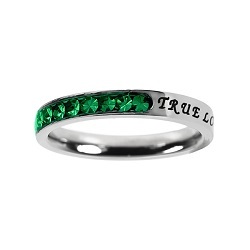 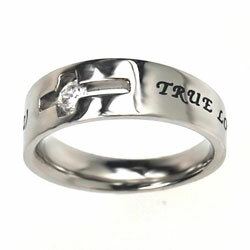 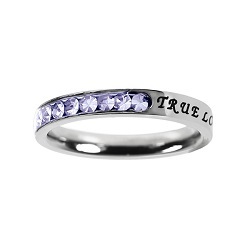 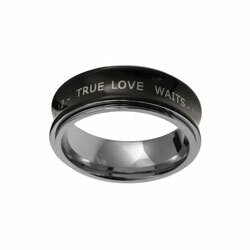 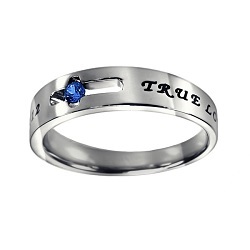 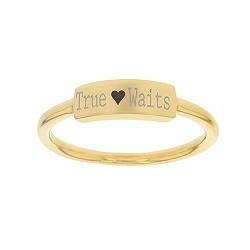 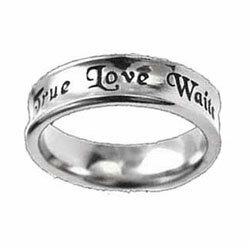 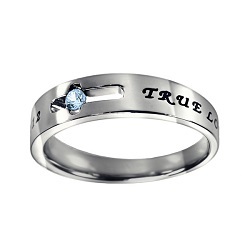 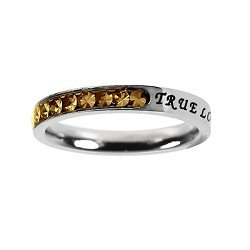 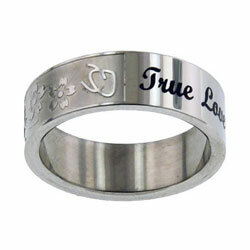 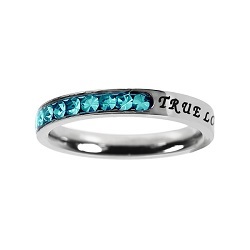 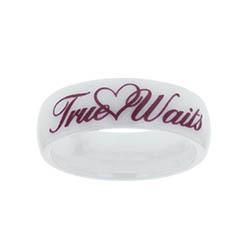 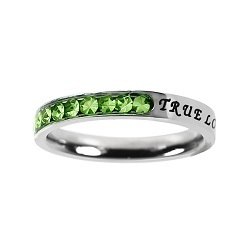 The phrase "True Love Waits" is one of the most popular for purity rings. 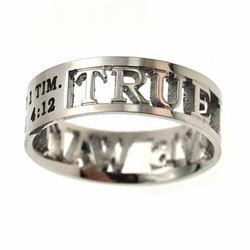 Encapsulated in this phrase is the powerful truth that chastity and commitment can help center your life and future marriage on Christ. 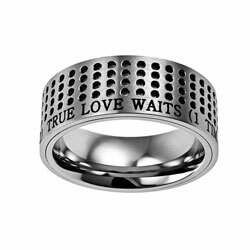 A True Love Waits ring is the perfect purity ring for someone who is bold in the cause of Jesus Christ and in their commitment to follow him. 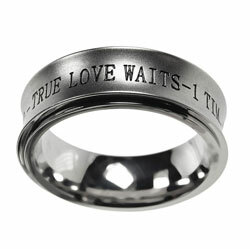 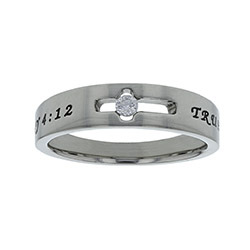 This stainless steel spinner ring bears the inscription, "True Love Waits - 1 Timothy 4:12" engraved and black filled into the ring two times back to back for a 360 degree reading. 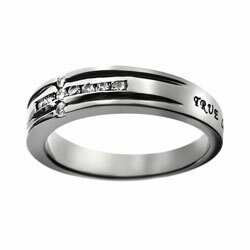 Heavy duty and ultra high quality version spinner ring.